This is a special class that has a kit fee of $10.00 per image. 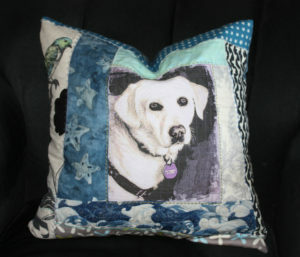 Select a high resolution photo of your pet and send it to me jean@sewjean.com no less than 14 days prior to your class and I will work with it in photoshop and print it out for your pillow. 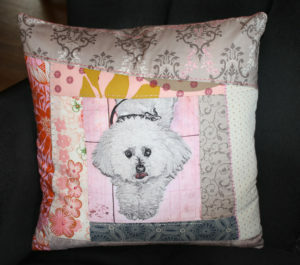 Most times I raise the color and outlines of the photo to enable you to clearly see where to FMQ your project.